Ready, steady, go... quick to these sporty shorts. 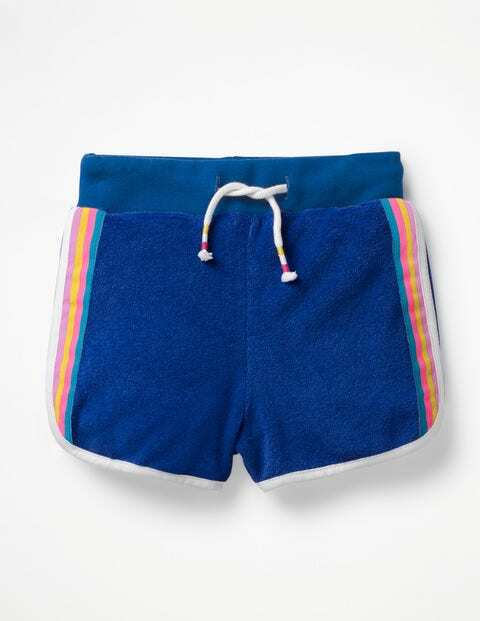 Made from soft towelling fabric, they have an elasticated ribbed waistband, with a drawstring featuring colourful contrast tips. And what better way to finish the retro look than first-place-worthy contrast binding and go-faster rainbow stripes down the sides.